My 2nd computer build. Lightroom and Photoshop rig for 2018 and beyond. First of all, I'd like to again thank all of the PCpartPicker.com community for helping me build my second computer better than the first. My old rig was flawless for the two years that I used it. It had zero hiccups along the way. When someone offered me a great price for it, I ended up selling it. With cash in hand I wanted to build another Lightroom/Photoshop rig that would be fast even in 2018 standards. But this build wasn't easy for me to pick all the components. Sure, I could have just picked some random top of the line products and that would be fine. But I was going for a certain look also. I wanted to essentially mirror my first build. White and black color scheme with no fluff. As clean and tidy as possible. Along with building it without any major modifications, since I'm still a novice at building computers. I definitely spent more time planning this build than my last. Every part had to make sense. They all needed to match the theme as much as possible. Parts I used and a brief explanation to why I went with these components. CPU (Intel Core i7-7820X 3.6GHz Quad-Core) I heard rumors that the next iteration of Lightroom was going to have multi-core support so the perfect price/performance chip was the 7820X. At 8-cores/16-threads, I knew this CPU would last be for a while. It's currently overclocked to 4.6GHz with no sign of weakness or instability. 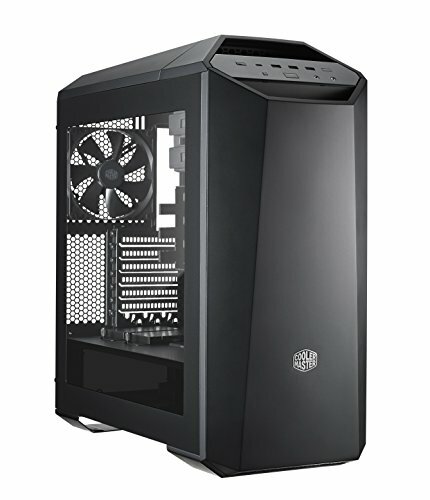 Case (Cooler Master MasterCase Maker 5 ATX Mid Tower) This was a tough, tough decision. Having built my first computer in the MasterCase PRO 5. I fell in love with the basement for the PSU and attic for the CPU radiator. Looking at numerous cases, this Maker 5 was the most logical choice. It's a pleasure to build in and it looks pretty nice also. The only downfall of this case was modifying the radiator bracket to fit a 280mm radiator inside it. Motherboard (ASUS X299-E Gaming) This decision was easy. I wanted an X299 board that was black, reasonably priced and reliable. Well this ASUS board got the nod. Memory (Corsair Vengeance LPX 64GB (8 x 8GB) DDR4-2400) Ram was an easy choice. I had a few requirements. 64GB, black and 8 dimms so I could fill up all the slots on the X299 board. The Corsair came in the at a great price, so it was a clear winner. 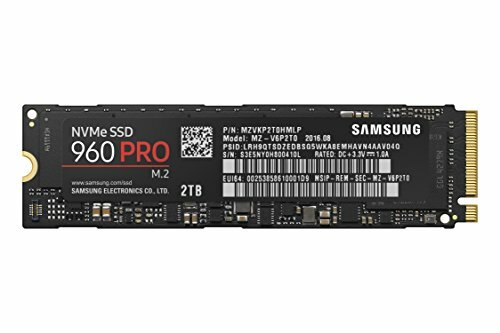 Storage (Samsung 960 PRO 512GB M.2 SSD) I definitely wanted the fastest drive I could afford. So the 960 PRO was it. This drive doesn't need anymore introduction. It is smoking fast. 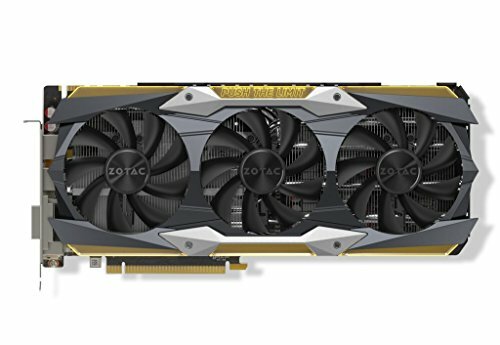 Video Card (Zotac GeForce GTX 1080 Ti 11GB AMP Extreme) This was an interesting pick for sure. I had a few requirements for the video card; 1080Ti, white lights, air cooled. So I had my eye on the EVGA FTW3. But it wasn't readily available, and where is was available, it was $100 over retail. So I just picked the most reasonably prices 1080Ti I could find with all my wants. When installing this card, it sagged, bad. So I ended up using a bolt and nut under the far side of teh card and attached it to the case to hold this card up. You can see the bolt wrapped in heat shrink in some of the pictures. Cooling (NZXT Kraken X62 Rev 2 Liquid Cooler) I knew I wanted a X62 because of the pump aesthetics. It's a gorgeous AIO cooler. 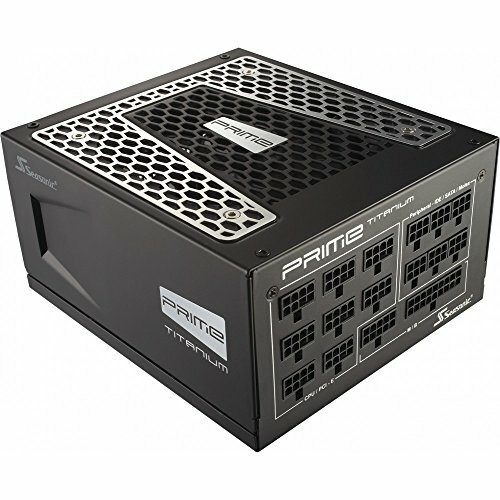 Power Supply (SeaSonic - PRIME Titanium Fully-Modular Power Supply) Power Supplies are easy. Tier 1, wattage you need, buy. So the SeaSonic Prime got the go. It's a damn good, if not one of the best PSU's on the market. So easy pickings. Monitor (TCL 43" 4K TV) This was a tough, tough pick. I knew I wanted a larger 4K monitor. The Ultrawide from my last setup didn't have the height that I need when editing photos. This S405 from TCL got amazing reviews from http://www.rtings.com/tv/reviews/tcl/s-series-4k-2017-s405 So I gave it a try. I couldn't be happier. It's Snappy, accurate, bright, and most importantly, reasonably priced. Pictures: All of my pictures were taken with a Nikon D610 DSLR, attached with a Sigma 85mm 1.4 ART or Nikon 50mm 1.4 lens. Unless I uploaded a few from my iPhone. Misc Notes -The black cover on top of the basement is made from 1/8th inch black acrylic I bought from a local plastic supplier for $6. -The VGA holder was made with a stainless steel nut/bolt combo and wrapped in heat shrink. - I need to do something with Thermal take fans, I'm just not a fan of their stickers. Plus the led rings look meh. Final Thoughts I thought my old OC'd 6700k/32GB/OC'd 980Ti/NVMe computer was blazing fast. Which it was... but this new rig has the horsepower to through anything I can at it and it doesn't skip a beat(frame), ever. Now that I have a daughter off to college, I'll have someone to put this computer through its paces with some games. Currently when she visiting home, she'll play a few games. So far every game we've loaded can be played at max settings @ 4k. I'm looking forward to the next few years to push this computer to it's limits. FAST, lots of PCI lanes, and reasonably priced! Best looking AIO on the market, hands-down. ASUS reliability and packed with features! So fast! Don't wait, just buy one. Meh. The while line doesn't have a very consistent light output. Cheap, MX Brown switches, RGB. Win. I love how heavy this mouse it. Too bad it's corded. Great looking rig as always attention to detail is great. Will have to look at fan options for aestetics, but otherwise its done and time for fun with it. I love my rig but overtime i see a new one, i want to add to mine lmao. might be time to buy a M2 and my other ram after my families trip. Love the monitor most of all. Thanks James. Especially for all the guidance and support with this build. You're right about the fans. Not too sure about them. m.2 sounds like a great plan! Well it definitely fits... I modified the top brace with some tin snips. It's not the prettiest modification. But it was easy and only took a couple mins. It's solid and secure. Very nice. I love the beefy look of that GPU. Love the build pics! Fantastic & almost soothing build. Now if only Lightroom would give us a worthwhile update to utilize newer generation technology. Yep. Adobe Max is Oct. 18-20. My fingers are crossed harder than I've ever crossed em. I might even watch the conference this year. But what about the mustard fan cables? Those are the cables that Thermaltake uses. They need to take some advice from other fan companies and make them all black. But anyways, after this photoshoot, I hit them with a black sharpie. Problem solved. I really do enjoy the criticism. Plus people see things that I might miss. So, thank you. Thank you. All the credit goes to this website. Looking through what seems like thousands of builds has inspired me for sure. Might I ask where you got the friggin funds? If not I totally understand. Work. I've been at my job for 18 years now so I'm compensated fairly well. But honestly it came down to selling my old rig. That helped offset this build. Was it a better rig and it was a downgrade? A beautiful PC build and the photo quality is impeccable. Just a suggestion, perhaps take off the Thermaltake logos off the fans or put some white stickers over them? I agree about the fan logos. I’m going to take your advice and look for some type of sticker to cover them. Your welcome. Did you manage to find anything suitable? Looks awesome... my fav part is that rod you have both holding the zotac and zip tying the cable, nice ingenuity! Wish I'd have made this last month when you did. I was looking for an editing rig too..as my first build job I found this, and I was just going to copy it completely, lol. The prices are out of control right now. Even I paid more than I should have. I'd wait just a hair longer and see if the market settles down. Beautiful pleasing build. Nice work! I really, really, really, really, really, really hope you can reply to this, but does the Zotac AMP! Extreme's RGB stuff work with Asus Aura/Sync? if not, what program do you use to mess around with it? I use the software that came with Zotac. "FIRESTORM - SPECTRA"
I was browsing motherboards, and ran across this build. I've been hemming and hawing over parts for quite a few months, but I had it narrowed down for the 7820x once the 8-core Threadripper scores started coming out - wasn't a fan of the lower single core performance for Photoshop with any of AMD's offerings. I'm Jealous you found 64GB of RAM for $350. I clicked on that ram link, and now it's $740. Looks like I'll be buying my ram in batches. Not sure 1080ti will be worth it for me, as I won't be gaming. I'm torn between a 1070, Vega 56 and RX 580. I'm leaning towards the RX 580 - trying to keep my budget as close to (or under) $2,200 and Capture One Pro seems to favor AMD GPUs - though I might splurge for the Vega 56. Plus, if I opt for the RX 580, it'll be fairly easy to upgrade the GPU a year later if needed. I know your old build was a Photoshop monster CPU, especially being overclocked. I'd love to know how your 7820X compares. Congrats on the nice build. Craig, first of all, Thank You. You build looks solid for sure. If you can, try and get a 280mm radiator. Since these 7820's run warm. if not, I'm sure the 240mm will be fine if you don't push the overclock. I did get lucky with the ram when I bought it. I notice it dropped almost in half in one day so I bought it without question. The only reason I went with the 1080Ti was to make sure I didn't have any bottlenecks in this build. The new and old system feel similar in Lightroom. The only place I notice it's faster in importing, generating 1:1 previews and exporting. How stable is your system when running PS and LR? I have a friend running a 7820x photo editing system, and he's getting numerous BSOD during use. Having issues saving files, and having a helluva time trying to trouble shoot his problems. Reading several Adobe, Intel and Microsoft forums - sounds like it's a pretty popular issue with these new chips. 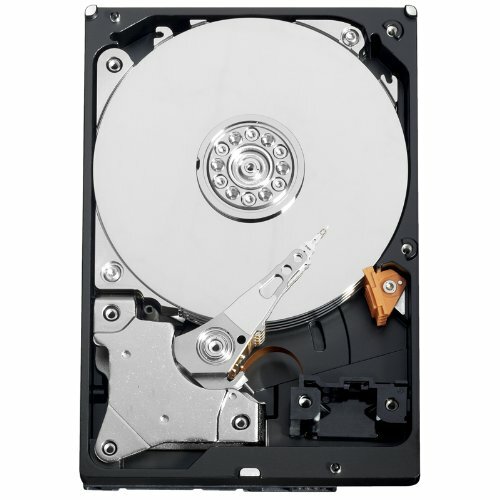 I nabbed the 7820x for $400 on Amazon Prime last Friday, and now his problems (plus everything I'm reading) are making my rather nervous. I've had zero issues. I wish I could tell you something different. But so far, so good. No man, that’s great news to hear. Where does the 960 Pro slot? Sorry new to this. It's under chipset cover on this motherboard. Great Build with Great Pictures! +1 for highest quality pics on the site! This would also be a great gaming rig, played any demanding titles yet? I haven't played any games on it yet. But my daughter has, Tomb Raider, GTA5, Mortal Kombat, Diablo III, Sims 4, and Cities Skyline. It will pretty much play any game with max settings at 4k with ease. I modified it with some tin snips. It's not the prettiest modification. But it was easy and only took a couple mins. have you run any video editing on it by chance? Most of these specs are in line with a bunch of the research I've done on building one myself (coming from a mac environment). I run a boutique sized video production company and am making the edit switch to PC. Unfortunately, I can’t help you here. I’ve never done any video editing. But I’m assuming it would be very capable. What an incredible build! I love when someone who knows their way around a DSLR posts a build, always great photos. I have the same MOBO, CPU and Cooler. I would love to know about your CPU overclock as I know nothing about it and I can't find much information on overclocking the 7820X. The simple black and white aesthetic has always appealed to me and you nailed it. I'm just quietly wishing the front LED's indicating the USB ports were white, blast you Cooler Master. Gucho, first of all, thank you. I used the built in overclocking feature on the ASUS motherboard. Set it to 4.6GHz and checked stability. With my only two builds under my belt. The simple "black/white" theme was the only look that I found pleasing. I'm not a fan of the rainbow look that everyone is going for today. I just use the low setting most of the time. It's really quiet on low. When I know I'll be pushing the system, I'll open the front door and go to high on the fans. Then again, it's still fairly quiet. I only upgraded my fans for the look. The Riing fans provided that subtle ring of light that I was looking for. Please keep me updated on your build.